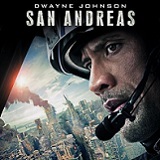 After the infamous San Andreas Fault gives, triggering a magnitude 9-plus earthquake in California, a search and rescue helicopter pilot (Dwayne Johnson) and his estranged wife (Carla Gugino) make their way together from Los Angeles to San Francisco to save their only daughter. But their treacherous journey north is only the beginning. And when they think the worst may be over…it’s just getting started. 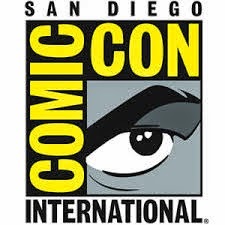 Burbank, CA, July 16, 2015 – Where will you be, who will you be with and who will you save when “San Andreas” arrives onto Blu-ray 3D Combo Pack, Blu-ray Combo Pack, DVD and Digital HD. “San Andreas” follows a rescue helicopter pilot (Dwayne Johnson) and his estranged wife (Carla Gugino,“Night at the Museum,” TV’s “Entourage”) as they make their way to San Francisco to save their only daughter. The film will be available early on Digital HD on October 6. “San Andreas” reunites Dwayne Johnson with director Brad Peyton and producer Beau Flynn, following their collaboration on the global hit “Journey 2: The Mysterious Island.” The film also stars Alexandra Daddario (“Percy Jackson: Sea of Monsters,” TV’s “True Detective”), Ioan Gruffudd (“Fantastic Four: Rise of the Silver Surfer”), Archie Panjabi (TV’s “The Good Wife”), Hugo Johnstone-Burt (Australian TV’s “Home and Away”), Art Parkinson (TV’s “Game of Thrones”) and Oscar® nominee Paul Giamatti (“Cinderella Man”). “San Andreas,” is presented by New Line Cinema, in association with Village Roadshow Pictures. Richard Brener, Samuel J. Brown, Michael Disco, Toby Emmerich, Rob Cowan, Tripp Vinson and Bruce Berman served as executive producers of “San Andreas,” which was shot on location in The Gold Coast and Brisbane, Queensland, Australia, and in Los Angeles and San Francisco. The screenplay is by Carlton Cuse and the story is by Andre Fabrizio & Jeremy Passmore. “San Andreas” will be available on Blu-ray 3D Combo Pack for $44.95, Blu-ray Combo Pack for $35.99 and 2-disc DVD Special Edition for $28.98. The Blu-ray 3D Combo Pack features the theatrical version of the film in 3D hi-definition, hi-definition and standard definition; the Blu-ray Combo Pack features the theatrical version of the film in hi-definition on Blu-ray; and the DVD features the theatrical version in standard definition. All versions include a digital version of the movie in Digital HD with UltraViolet. Fans can also own “San Andreas” via purchase from digital retailers.